Energy is an essential and expensive component of modern life, and how we generate it has huge effects on the environment. Our limited current investment in energy research doesn’t reflect the importance of improving it. Civilisation depends on its supply of energy to function: we in the UK spend around £2200 per capita fuelling our cars, homes and factories. Energy research, by comparison, receives around £10 per person per year. That’s less than 0.5% of energy spending. There’s a pretty strong economic case for scientific research into energy sources: the UK’s per capita energy spend has increased from £1300 per capita in 1997 to £2200 in 2011. This 60% increase has been driven largely by factors beyond our control: we depend on fuels whose prices are highly volatile due to global supply and demand, and market speculation. If we’re confident that science can make our energy even 0.5% cheaper in the long run, it’s worth investing significantly more than the £10 we do at present. If we’re confident that science can make our energy even 0.5% cheaper in the long run, it’s worth investing significantly more than we do at present. In addition, the fossil fuels that provide the majority of our energy are both finite, and damaging to the environment. To avoid dangerous (and expensive) climate change, we need to find new ways to either generate power without emitting carbon dioxide or sequester the carbon dioxide we do emit. These new or improved power sources will be made cheaper and more efficient through scientific research. To focus on one technology in particular, we spend £1.20 per capita—a mere 0.05% of our spend on energy—researching nuclear fusion. Fusion is a potential source of near-infinite, pollution-free energy, and the principles have already been proved. The, based in Oxfordshire, has successfully generated 16 MW of power from fusion…albeit for less than a second. 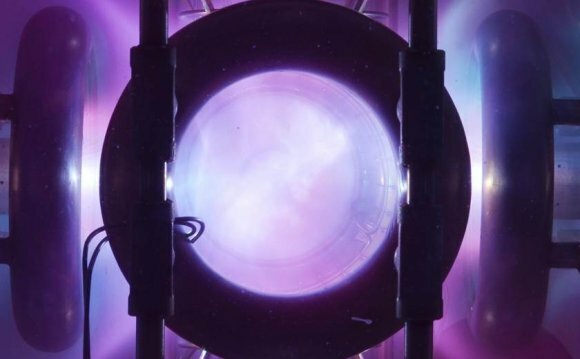 How far away is practicable nuclear fusion for electricity production? Cynics often joke that it has been thirty years away for the last thirty years—perhaps, however, given that the worldwide fusion budget is less than $1 per person per year, that’s not such a surprise.